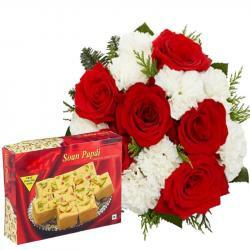 Product Consists : 1 Kg Rasgulla along with Bunch of 12 Fresh Red Roses. Greet your love ones in stylish way with lots of love on this Valentine by sending them unique gifts of Giftacrossindia . 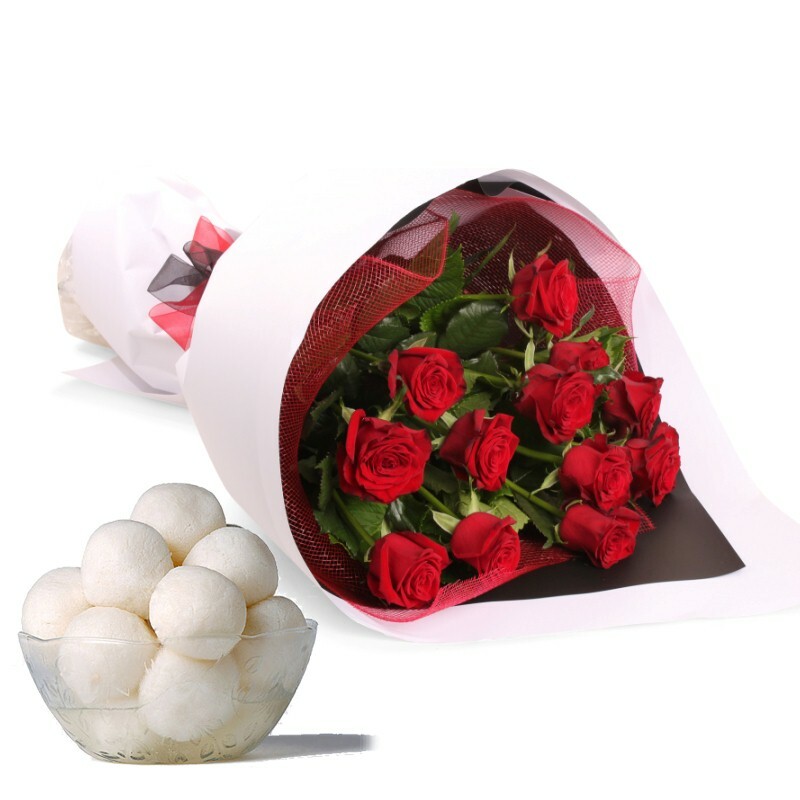 Give a super surprise to your love ones on this valentine love season by sending lovely Treat with 1 Kg Rasgulla Sweet with Bunch of Dozen Red Roses. 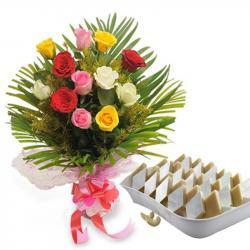 This combination of sweets and roses will be a perfect gift for this Valentine's Day. 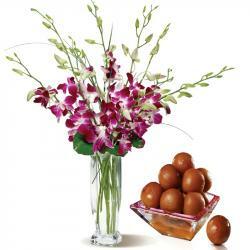 If your love one is food lover then they will enjoy eating this sweet Rasgulla. So go ahead and buy this hamper now. 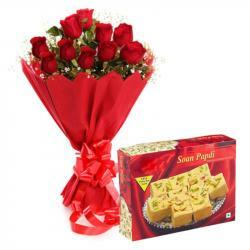 Product Includes: Product Consists: 1 Kg Rasgulla along with Bunch of 12 Fresh Red Roses.